Austin St. Stephens senior Travis Dowd has had a season of adjustments. He had to adjust to not having teammate and fellow leader Crayton Carrozza for the cross season, he had to adjust to the leading both his team and individual SPC championship chase, and he had to adjust to the in season college recruiting situation as many seniors do. Now, he'll have to adjust to heading into track season as "The Man." Dowd will move up from hunting to being one of the hunted this Spring as distance runners all across the state will be eyeing him as one of the best. His SPC state championship puts him at the top of the totem pole in SPC and in the state of Texas as well, but so do his times. He has a 4:22 - 1600m, a 9:23 - 3200m, 14:54 - 3 mile, and a 15:02 5K. 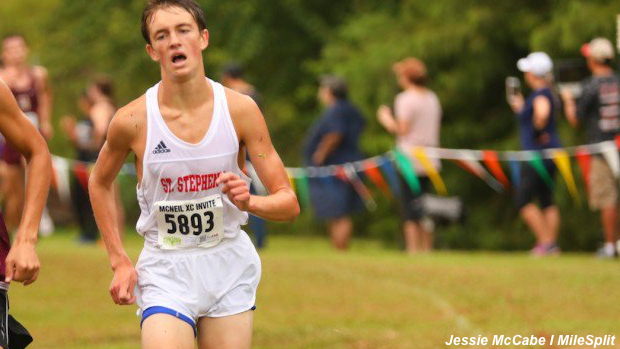 We caught up with the Rice University signee to talk about this upcoming track season and found out why he'll be focusing on some 400 and 800s this season. TX MS- How are you feeling heading into your senior year of track and field? TD - Right now I'm playing soccer for the school soccer team and doing runs in the morning to stay in shape while training with the running team on the weekends. I can't wait to start running with the team daily again, though. I am excited to be able to see what I can do especially now that I don't have to worry about college marks and can do it solely for my own goals. I am also really excited to see what my teammates and training partners can do this track season since they have improved a ton and I can't wait for them to show colleges what they are capable of. TX MS - What is your mood coming off of the cross country season where you led your team to another SPC championship? TD - It was a big relief to win SPC this year. We knew we had the team to do it, but we really wanted to show everyone that we could win without Crayton and showcase our depth as a team. The best part of the win was that our whole team came through to help us win by a lot, which makes me super excited for track season. 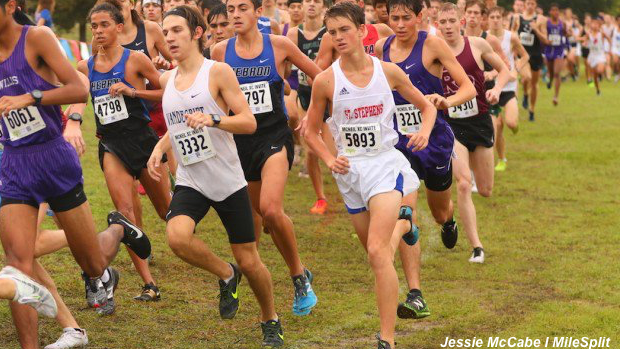 TX MS - How big was finally getting the individual state meet win? TD - It was really fun to get the state win mostly because it gives me the feeling that I couldn't have done any better to help propel my team to the win. In that way, finishing first this year was every bit as exhilarating as finishing right behind Crayton last year since I did the most I possibly could to help the team win. TX MS - You're heading into a completely different track season than what you've been used to. Your team lost a lot of leadership and talented upperclassmen, how will that change your role and mentorship with this year's team? TD -Even though we don't have Crayton for SPC, he still trains with us and is very much the leader by example on the team. We were much the same team in cross country this year as we were last year, but track will be different because we lost lots of talent in the sprints and jumps. I think this will change the dynamic since as a distance squad we can now focus more on propeling each other to our own personal goals. Next year a lot of our distance squad will be graduating, though, so I feel it is my responsibility to help out Coach Carrozza in giving the younger runners an example of strong work ethic that they can continue when we leave. TX MS - You were able to get your college recruitment and commitment out of the way fairly early, how much of a load off of you is that? TD - It is really nice to college my college decision early because as I mentioned earlier, it helps me focus more on the sake of running for my love of it and my love of competition rather than worrying about recruitment processes. Not having to do college apps except for one also helped me to be more relaxed. TX MS - What was it about Rice University that made you decide on them? TD - I've been interested in Rice since 9th grade for their unique combination of athletics and academics. Coach Warren stressed this multifaceted advantage, where athletics are extremely important and taken very seriously as at any D1 school, but the natural rigor of the school gives you a future beyond your undergraduate years in the professional world. Since I won't run after college, I want to have the springboard to the rest of my life. I liked the team environment at Rice and was also encouraged by my high school teammates who now thrive there. Plus its warm year around AND has HEB's and out of state schools don't. TX MS - What are the individual goals you have for yourself for this track season? TD - Since Crayton has pretty much all of the school records in track and I won't beat them, I want to try to take his SPC mile and two mile records (it's a friendly competition). I want to break 4:15 and 9:15, and in order to do that, I believe that I have to start by improving my 400 and 800. TX MS - What do you want to help your team accomplish? TD - This year we really want to see if we can break the SPC 4x800 record (7:52) without Crayton. This would be a tall order, but I am really encouraged by everyone's fitness so far, especially Philip and Julian. TX MS - Do you have any superstitions and if so, what are they? TD - My teammates know that I get really tense and quiet before races. To try to calm myself I have a pretty orderly pre-race routine. I always wear the same socks (unless I go barefoot), I always untie and retie my spikes right before a race, and I always do knee-to-chest jumps prior to the gun going off to name a few things. TX MS - What is your 2019 track season track meet music play list going to look like? TD - I tend to not listen to music before I race because then I always get the songs stuck in my head while I'm racing and my stride pattern starts locking into the music beat. This doesn't help me because I don't really focus on my pace and position in the race as much as I should. On bus rides and travel to meets, though, I like to listen a lot of different types of music including Drake, Migos, The Script, and Rush.